“In animation, a model sheet, also known as a character board, character sheet, character study or simply a study, is a document used to help standardize the appearance, poses, and gestures of an animated character. 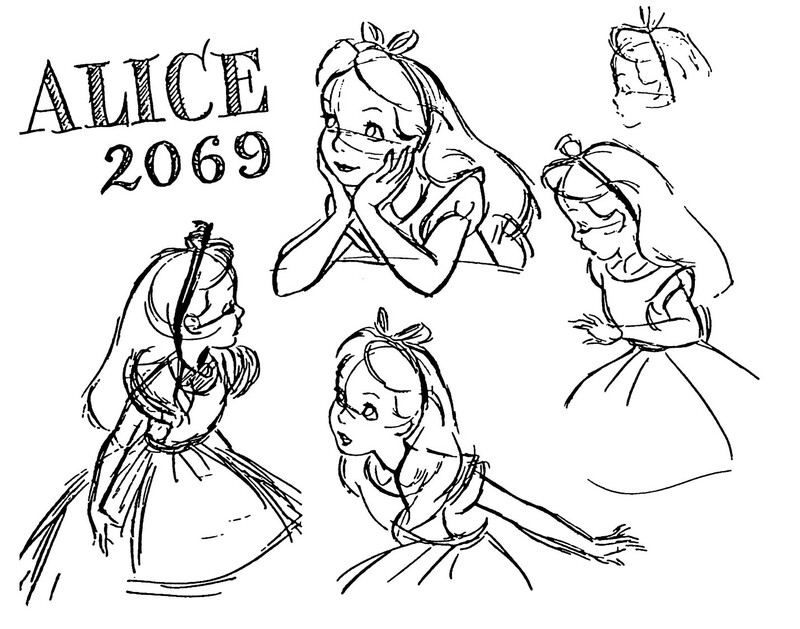 Model sheets are required when large numbers of artists are involved in the production of an animated film to help maintain continuity in characters from scene to scene, as one animator may only do one shot out of the several hundred that are required to complete an animated feature film. A character not drawn according to the production’s standardized model is referred to as off-model. 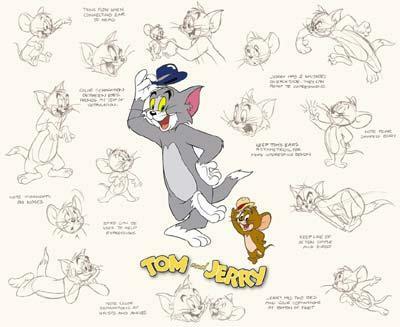 Model sheets are drawings of posed cartoon or comic strip characters that are created to provide a reference template for several artists who collaborate in the production of a lengthy or multiple-edition work of art such as a comic book, animated film or television series. 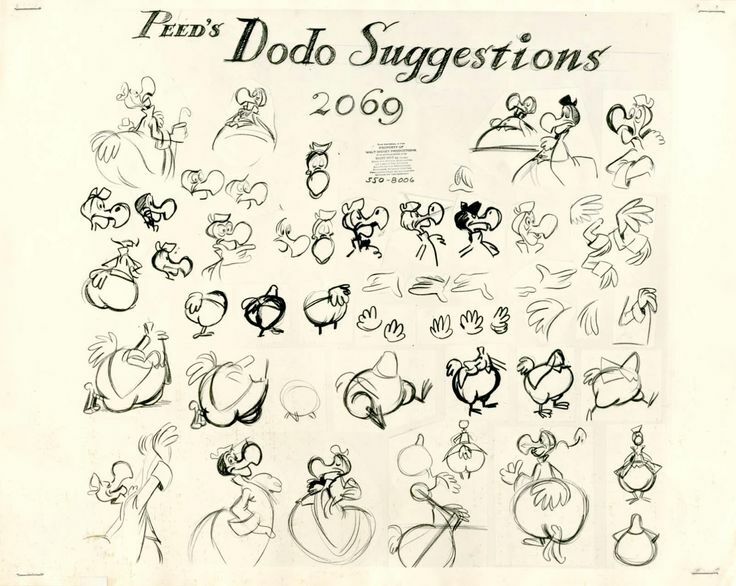 Model sheets usually depict the character’s head and body as they appear at various angles (a process known as “model rotation”), includes sketches of the character’s hands and feet, and shows several basic facial expressions. Finding original model sheets of characters that millions of people know and love always brings me great joy. Actually, even finding obscure model sheets from movies or characters only loved by diehard fans or super-geeky animation fans is great fun. 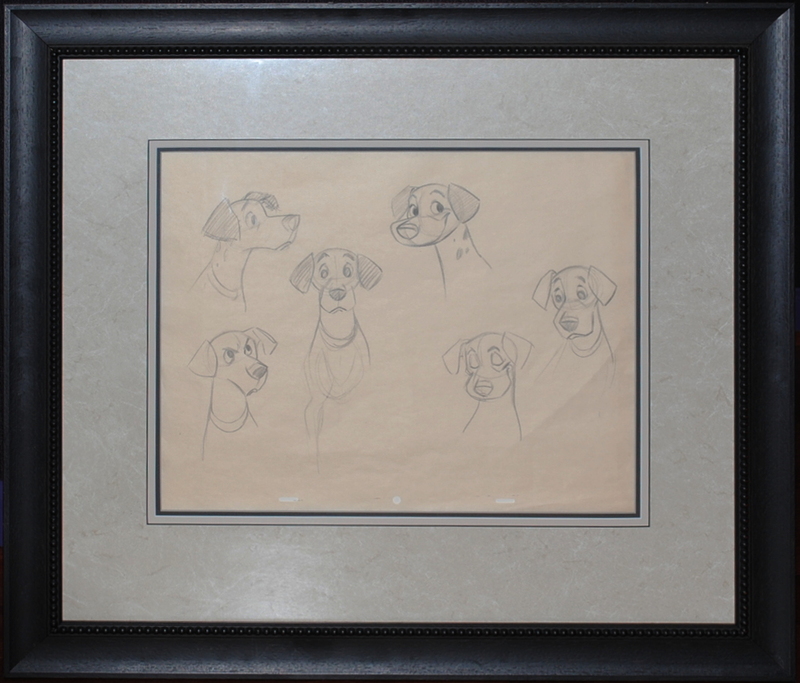 In my 30+ years selling animation art, I’ve sold some amazing original model sheets. I also found a great Pongo model sheet, and since he’s one of my favorite characters, I was very excited to sell that one (so don’t fall in love ;). Over the years, I had Snow White and the dwarfs, Dumbo, Sleeping Beauty, The Ugly Duckling, and a bunch of various Mickey and the rest of the fab five like Donald Duck and Goofy. In 30 years, I’ve maybe found one a year. Partly that’s because I have always done a ton of research to know where they’ve been before they get to me, and the more popular and collectible animation art has become, the riskier buying anything you can’t trace gets. Interestingly, not that many people are as big a fan as I am of them. I’ve always attracted more collectors who love production cels. But..the characters that have been seen by millions and continue to be seen are created and kept consistent through these images. It’s a big deal! It’s the artistry of the character design sitting there on the wall! I’m not trying to pitch you guys to want to buy them, because I do so rarely find them. I just want people to understand the beauty and genius behind them. We do have one right now, and it’s one of those that are cobbled together by animators who want to keep a character consistent by seeing it from every angle…but it also has more than one character on it. Another love of mine as an animation art dealer is the art of Fantasia. The film is a classic, of course, but it also has an artistic quality that is unique in all of of Disney history. Here is the model sheet we’ve got right now, and actually I’m looking at it in person, because it makes me happy, especially this time of year. There are plenty of photostat versions of model sheets for collectors who either can’t find the original, can’t afford one, or just want to collect a variety of pieces from the time that capture the art behind the films they love. 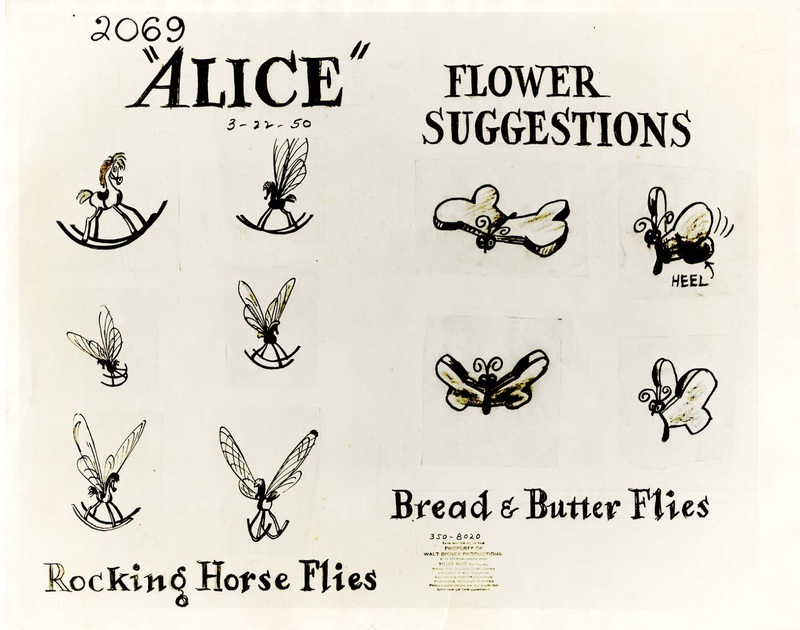 For example, there are lots of photostat model sheets from Alice in Wonderland, as many different ones as the number of characters represented in the film. I’m toying with the idea of finding more photostat images to sell to my clients. I didn’t use to have them or carry them, because they are some hundreds of dollars, and have been for some time, because they come from the time. Contact the gallery if it’s something you might be interested in, because I know a bunch of old-time collectors who have them. How wonderful would these look in someone’s office?! Yes, they are esoteric aesthetically, but that’s what makes them work in a professional environment. The same is true for a house that has a lot of tradition art in it. Either original or photostat model sheets will work there when other animation might not! For those who love Warner Brothers and Hanna Barbera, there are some great images available from those studios as well. We have an original from 1959 that’s more of a layout and a model sheet that is clearly from back when they are designing characters. 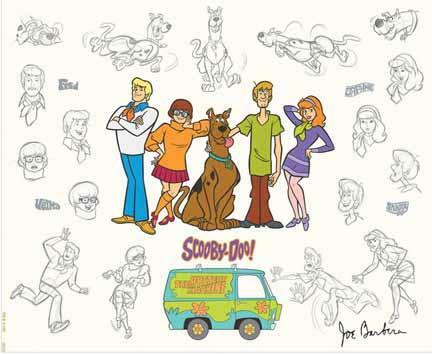 How awesome is it to know these characters hadn’t even been placed in a cartoon yet? Fans of Quickdraw McGraw will get a kick out of that, and it’s definitely a piece of animation history. Here are some limited editions with Tom and Jerry,Wile. 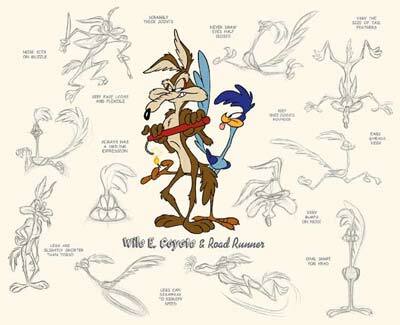 E. Coyote and Roadrunner, and the gang from Scooby Doo. 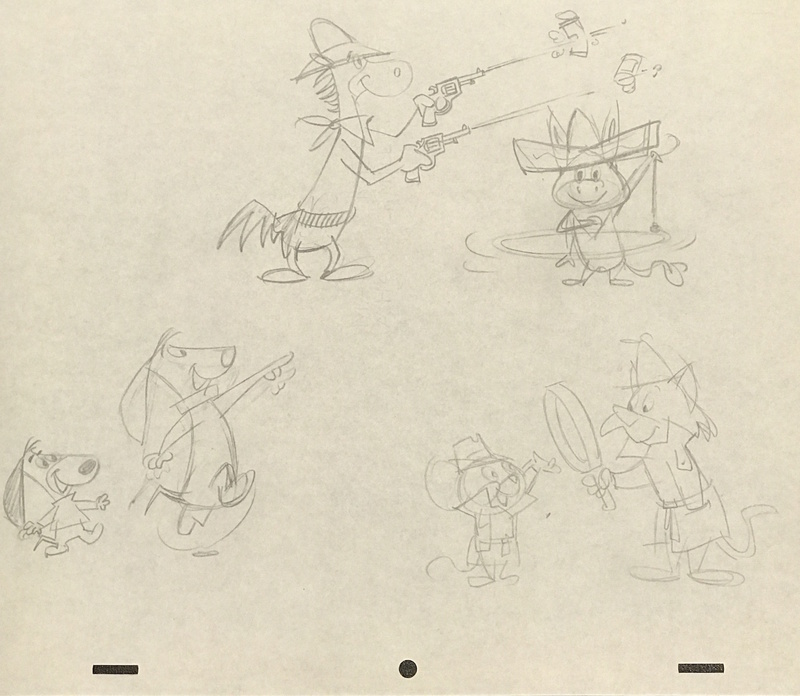 The designs for Tom and Jerry are particularly interesting, given they were created while Hanna and Barbera were at MGM and the duo won seven Oscars and were nominated for another 7! To put things in proper perspective, Bugs won only one Oscar!! These do a great job of mixing the artistry behind the characters and the color and pop of production cels. Again, they show the brain behind the movement and characterization of these classic cartoons, but in the above images you also get the color, hand-painted cel so many collectors want. 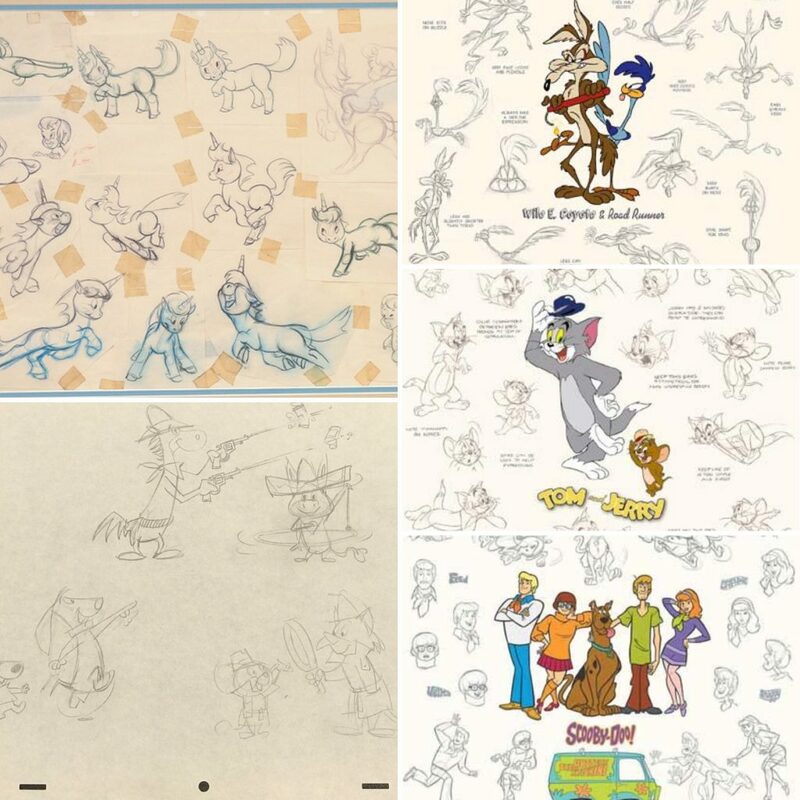 What it comes down to for me, is model sheets really represent the history behind animation. They show our favorite characters in positions and doing things that sometimes they haven’t even done yet in a cartoon. They also capture just how talented not only the character animators are, but also those working with them who have to stay on model regardless of what is happening in their scenes. There is so much skill, discipline and artistry in animation. 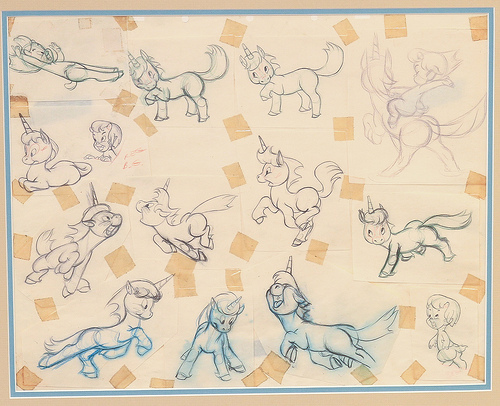 There’s no greater example of that than in animation model sheets. If any of you collectors or animators have any great images, put them in the comments or email them to me, I always love seeing them!